This essential reference guide is recognised as the industry standard driving manual, packed full of driving advice for learners, experienced motorists, professional drivers and instructors alike. This comprehensive guide provides all motorists with everything they need to know to help them learn and maintain safe driving skills and stay safe on the road for life. This edition has been updated to include details on independent driving, additional information on emergency diversions and travelling through road works, and advice on overtaking slow-moving vehicles, plus other key revisions. 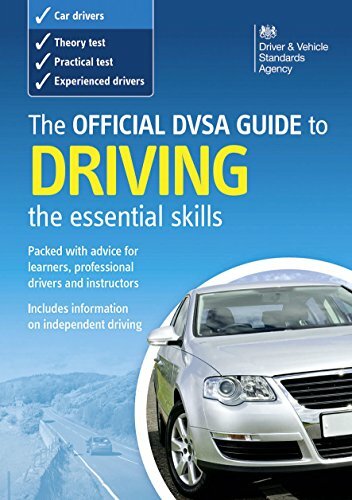 The Official DVSA Guide to Driving – the essential skills, together with The Official Highway Code and Know Your Traffic Signs, provides the source material for learner car drivers and driving instructor theory tests, being referenced throughout the latest official DVSA theory test titles for car drivers. It is strongly recommended that you study from these source materials, as well as products containing the theory test questions themselves, to prepare fully for your tests.